Alpharetta Film Academy from Tracy Misner on Vimeo. 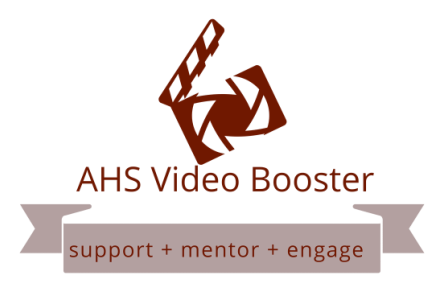 Welcome to the NEW Alpharetta High School Video Booster Club, referred to as AHSVBC. We are a brand new organization and would welcome your support of our efforts. The AVBC operates as a non-profit organization through membership in the Alpharetta High School Athletic Association. The AVBC is established to promote and support the Alpharetta Audio Video Film & Technology class at Alpharetta High School. The first Membership Meeting of the year will be held on Tuesday, August 30th at 6:30 pm in the AHS Media Center. All members and students or parents interested in learning more are encouraged to attend.